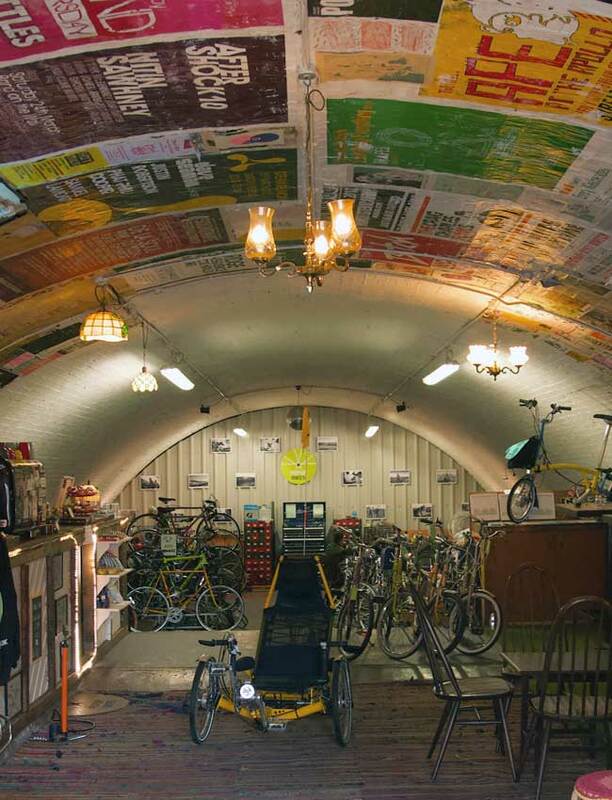 We can also store your bike while you work! We put community before profits and provide a place where cyclists can meet, interact with each other and exchange tips and stories. By giving cyclists the space to help each other, we aim to nurture Manchester’s cycling community. Our workshop incorporates bike repair, servicing and maintenance, the sale of high quality pre-owned bikes and allows cyclists access to quality service at reasonable prices. We welcome anyone that appreciates good company and great coffee. Our café serves speciality handcrafted coffee to wake you up on those early mornings or keep you going long into the evening. We are open from 7:30am until 7:30pm. So if you have a bike problem while you’re riding to work, bring it straight to us – we’ll usually be able to repair your bike for your journey home, the same day. The most important thing to us, is our customer’s happiness and we want you to leave with a smile on your face after the most positive of experiences, so we don’t quibble about the little things. Our mechanics aim to repair every bike that’s brought to them. No job is too big or too small – or too weird. If your maintenance job is not on this list, just pick up the phone and request a quote. I've used this place several times and I cannot rate it enough. The staff are great, knowledgeable and always aim to get the repairs done on the same day. As a city centre 9-5 worker, this place is a god-send as I can drop my bike off at 7.30am and pick it up after 5pm. Absolute first class service! 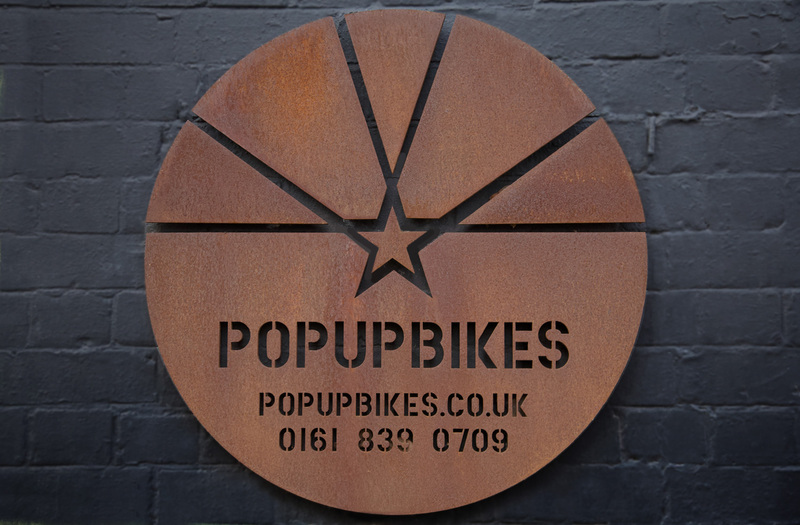 Hands down best bicycle store in Manchester, know their way around old bicycles and always ready with an innovative low cost solution. Also the coffee and sandwiches are rad! Fantastic! Excellent service, great value for money and free advice. Been in a couple of times and they don't do unnecessary work. The wizards at Popup Bikes sorted out my loveable but awkward 70's French racer. Amazing service! Kept me in the loop all the way along, and the service was impeccable. It's a great place with fantastic staff, great coffee and delicious snacks. Couldn't recommend highly enough! Having used a well known bicycle chain store for the last few years, I'm used to having to wait for ages Popup was really fast, efficient service and significantly cheaper; I will definitely be taking my bike back in the future! The idea of Popup Bikes began one Friday in 2011, when Prestwich-based cyclist Dipak Patel rode into Manchester for a drink with a friend. After walking around the city looking for a place to park his bike, Dipak ended up leaving it with a doorman in the gay village, wondering why there was no secure parking for bikes in the city centre. After all, there was plenty for cars. He had found a gap in the market. 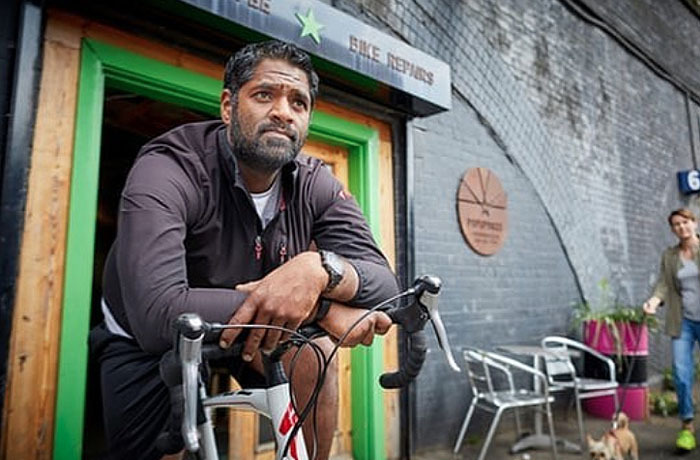 Dipak realised that using empty (or under-used) commercial property would limit his costs, meaning he could charge less, so cycle parking could ‘pop up’ in vacant premises. The search for a property took Dipak to the garages beneath the railway arches in Angel Meadows on the edge of the Green Quarter of the city centre, which he had visited as a child with his Dad. Popup Bikes opened in April 2012, under an arch previously used to park just one car. Dipak found second hand furniture for the customers and scaffolding poles to hang bikes from. The coffee bar and the mechanics bench were made with timber from salvaged pallets and the chairs were repaired using inner tubes, a technique Dipak had seen in India. Many of the bike tools were second hand. By the end of the year, the business had the equipment and the skills to strip and rebuild bikes and to build wheels. In 2013, we took on a barista and an apprentice mechanic. To keep things local, we began buying coffee from a Manchester-based roastery, and cycle components from wholesalers in Worsley and Whitefield and Chorley. Today Popup bikes has a team of 5 people, maintaining and repairing bikes and providing the great people of Manchester with the best coffee and toasties the area has to offer.